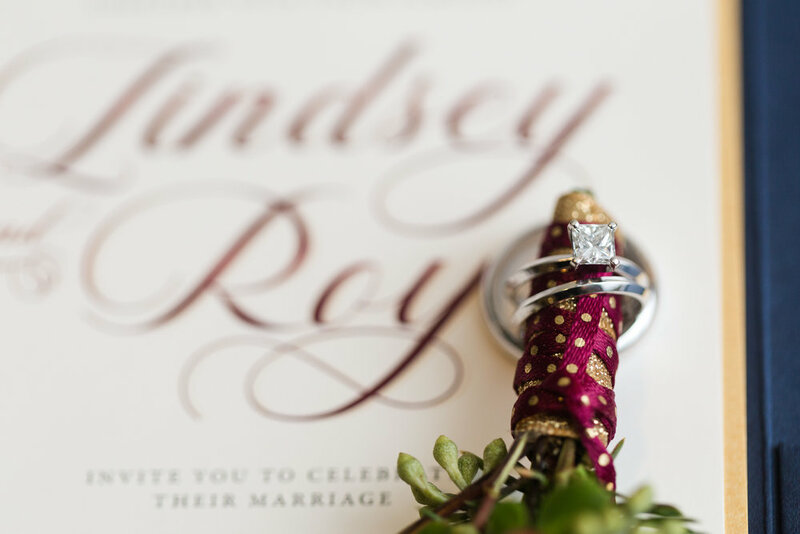 When I first met Lindsey and Roy I was so excited at the chance to celebrate a wedding on New Year’s Eve! 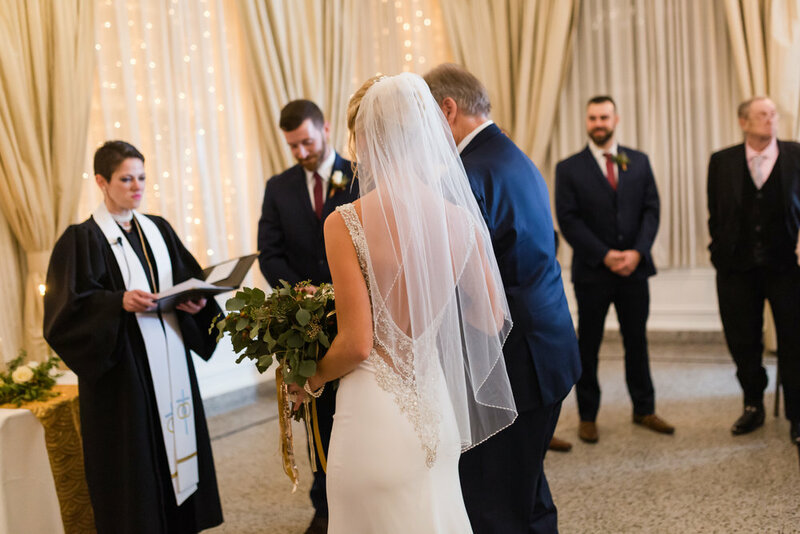 I knew this would be such a fun wedding, and I was also excited at the challenge of having a ceremony and most of the wedding day during evening hours. My only concern over the idea of a NYE wedding was actually staying up past 10 pm, but luckily they provided coffee and so much fun that this was not an issue. Lindsey and Roy decided to do a first look so they could use the last 30 min of daylight to have a few photos done outside before the ceremony. 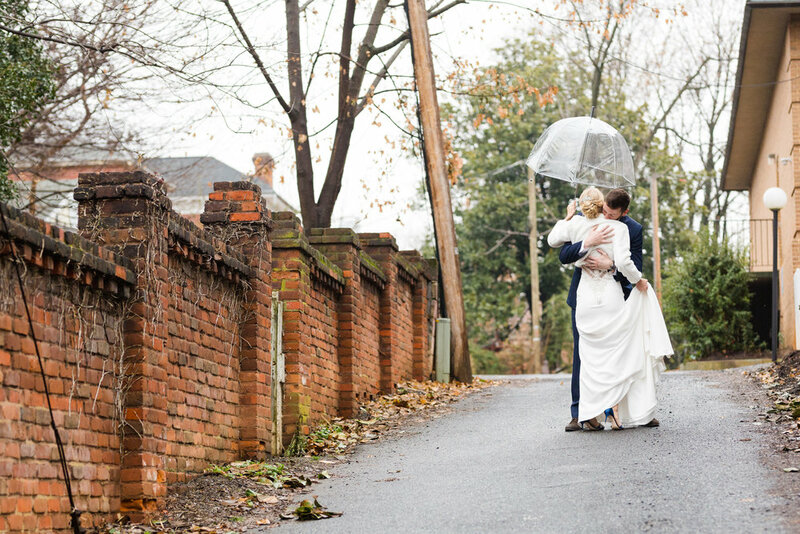 It had been raining all day and it stopped just in time for their photos, it was perfect!! 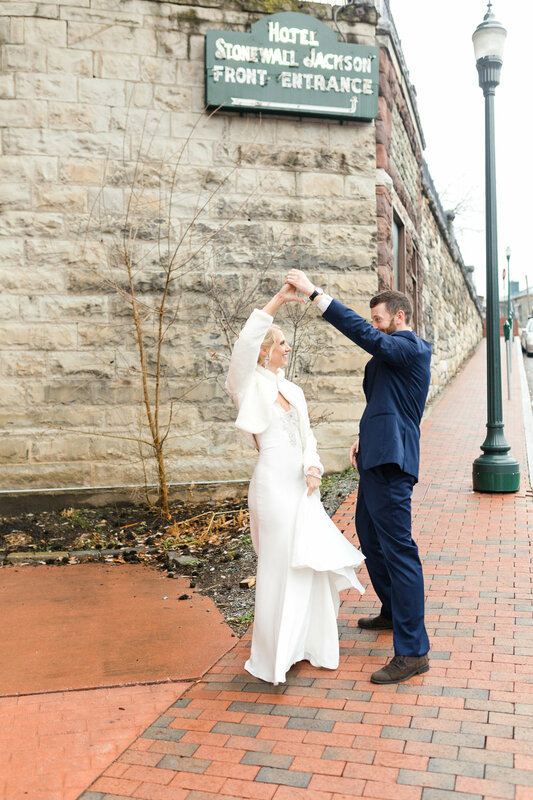 My amazing second shooter, Hannah, scouted the cutest alley way just across the entrance of the hotel for their first look then we walked just a few steps in both directions for a few more portraits. Downtown Staunton has so many great spots for photos and I have rarely used the same spot twice! 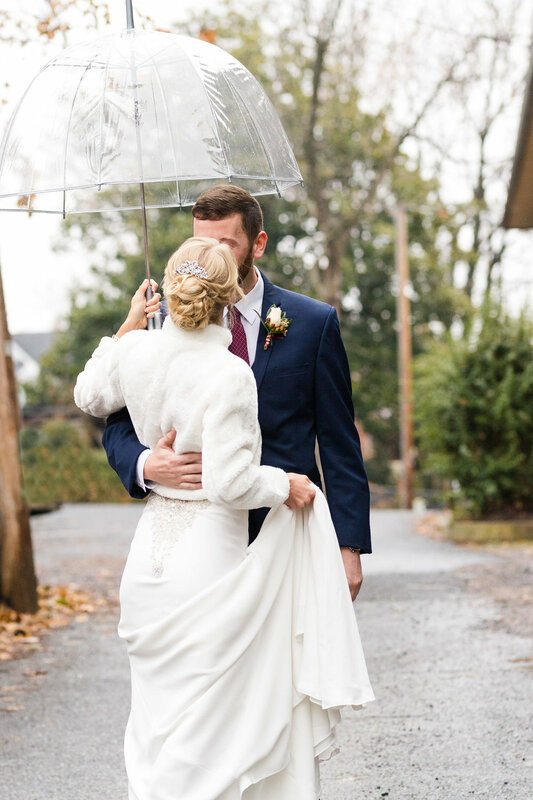 The weather was pretty mild for the end of December, but Lindsey had the most beautiful bolero to keep her warm. 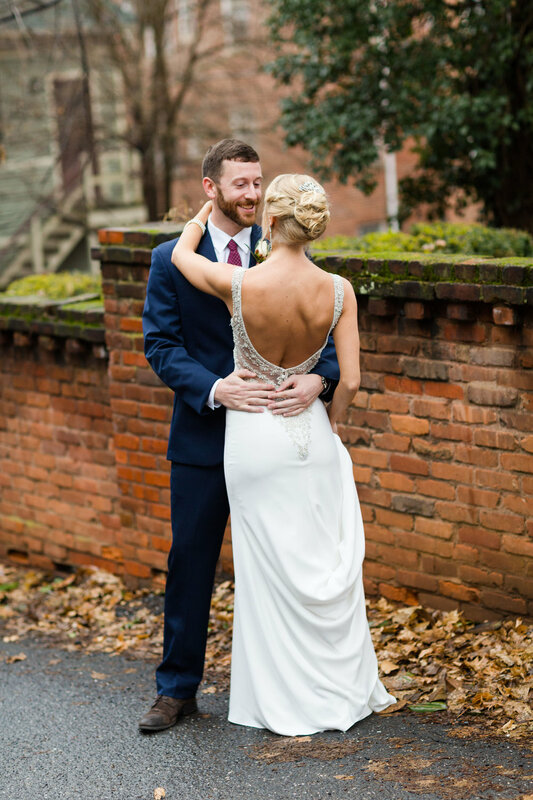 Their ceremony was held inside the Stonewall Jackson Hotel in a gorgeous ballroom. There were tears, laughter, and some uncooperative candles in the room filled with friends and family. As they left the ceremony into the lobby the Christmas tree was the perfect background for celebratory hugs. Guests entered the reception which was perfectly lit by candles and lights from the trees. I also loved how they decorated with clocks and party horns, perfect for New Year’s Eve! 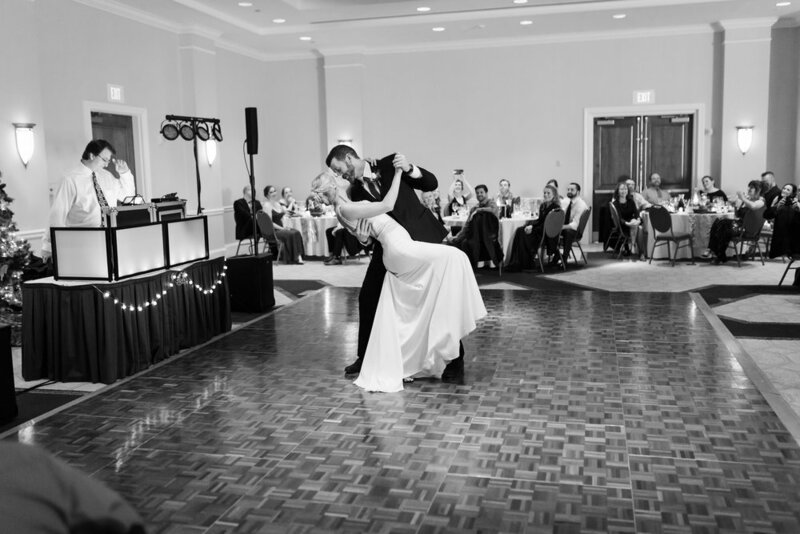 Lindsey and Roy had a very impressive first dance and then guests and the bride and groom danced the night away. Midnight came quickly has their reception was just non stop fun! 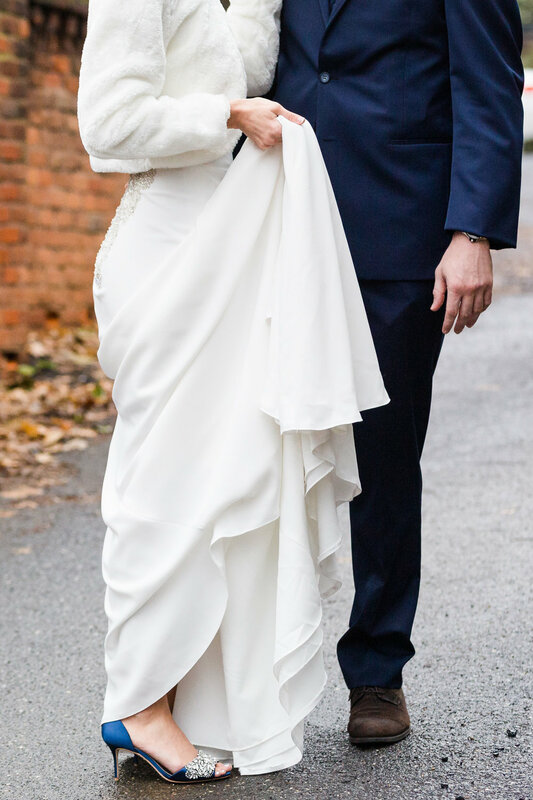 There were lots of champagne toasts, horns, and kissing and it was the picture perfect way to end both your wedding day and to start a new year. Shortly after midnight Lindsey and Roy exited their wedding through a line of festive ribbons onto the elevator as guests waved goodbye. 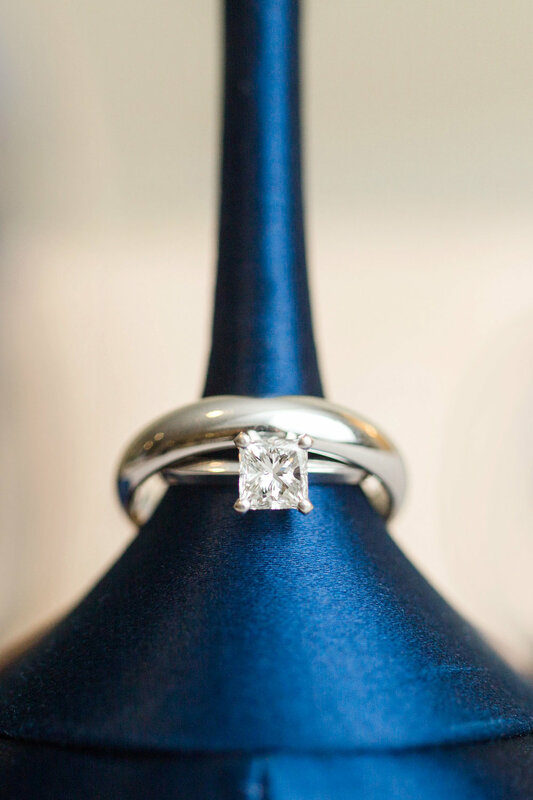 I am now in love with holiday weddings!! 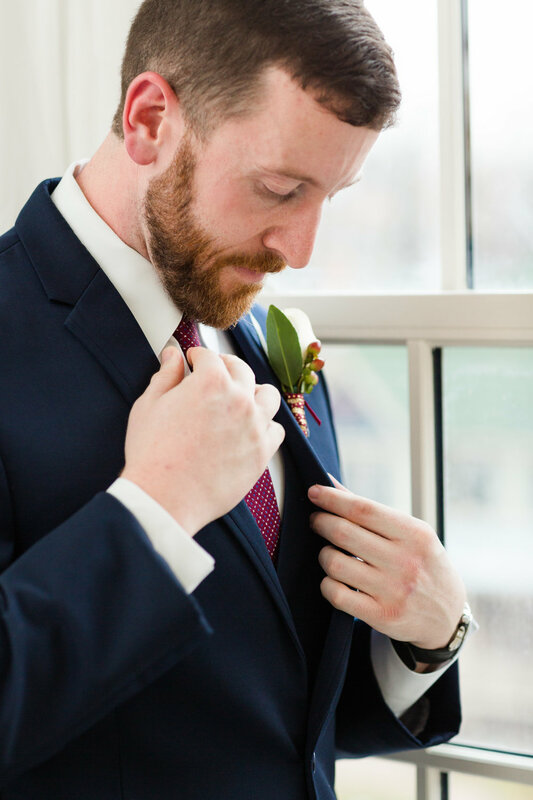 What a fun way to celebrate your anniversary every year and there are so many unique ways to incorporate holidays into your wedding planning. 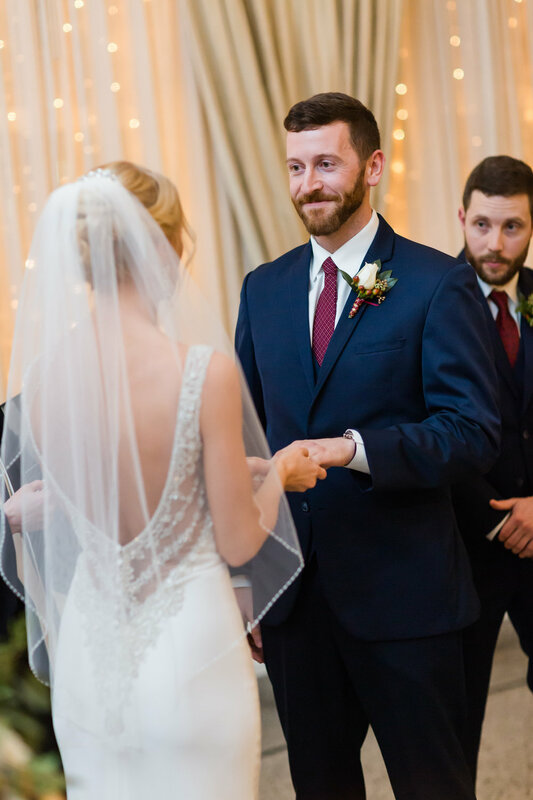 I also love that this wedding shows how beautiful an indoor ceremony can be. I hope that other couples find inspiration to get married indoors and in the winter. There is so much beauty in every season.